Stylish Star Allu Arjun was never this close to his family members in the last few years as he was occupied with back to back movies. Thanks to the free time that he made after the release of Na Peru Surya, Na Illu India. Allu Arjun is currently having a fun time with his family members especially his children and the other kids in his family. Bunny is regularly seen going around breakfasts, lunch programs, and dinner events with his wife and kids. Bunny is trying to be a family man as much as possible. Both of his kids Arha and Ayaan are happy that their father is taking time for being there with them for a maximum time. 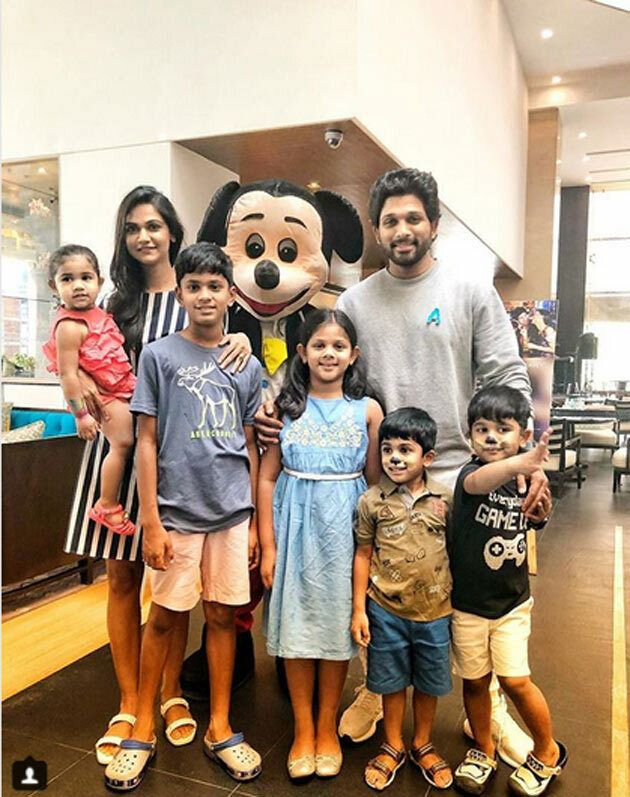 Recently, Sneha, Allu Arjun's wife posted a picture on the social media where we can see the stylish couple attending a brunch with the kids. Ayaan is seen with a mickey mouse type makeup and all the kids had a great time with Bunny and Sneha. Allu Arjun is currently on a relaxing mode as he has been waiting for the release of Jr NTR's Aravinda Sametha Veera Raghava to check out the film's result. 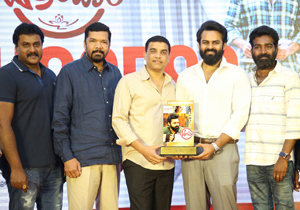 Allu Arjun wanted to team up with the film's director Trivikram Srinivas for the third time and he is hoping that Aravinda works out well so that there will be some good market around their new project. If everything goes well, the story discussions for the project will begin soon. As a backup, Bunny also kept Vikram K Kumar on waiting mode. If the situation demands, Allu Arjun will immediately begin Vikram's film. Stay tuned to us for more developments on the same. First Look: Big B As Sye Raa's Kosayi Venkanna!